The Department of Culture and Tourism has outlined a vision to attract people from all over the world to seek treatment in the emirate. Attracting top quality doctors and offering a range of specialist services are part of a wide-ranging plan to put Abu Dhabi on the map as a medical tourism hot spot. The Department of Culture and Tourism (DCT) has signed an agreement with the Medical Tourism Association (MTA), a global industry body, to encourage people from all over the world to come to the emirate for treatment – and ensure people already living here don’t feel they need to seek care overseas. Under the partnership, which was announced on Sunday, the association will target key markets such as China, Russia and other countries within the Middle East region. The number of Russian visitors to the UAE rose by 91 per cent last year, with Chinese tourists surging by 61 per cent, after both countries were granted visa on arrival status in the UAE. The long-term strategy is to bring the best physicians to work in the emirate on a rotating basis, providing a lure for patients to travel to the UAE capital. 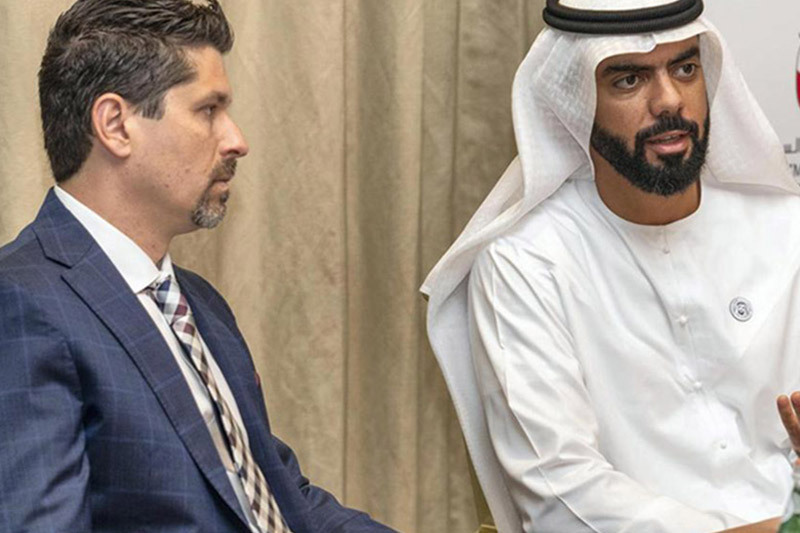 Saif Saeed Ghobash, undersecretary of DCT Abu Dhabi, says bringing the MTA’s annual congress – the World Medical Tourism & Global Healthcare Congress – to Abu Dhabi every year from 2019 is a vital part of the goal to bolster the UAE’s medical ranks. “The Medical Tourism Association annual event brings the who’s who of the sector to the region,” said Mr Ghobash. “It will be an opportunity to showcase the facilities and the infrastructure of Abu Dhabi to the best physicians across the world. Both public and private hospitals will be included in the plans to make Abu Dhabi a medical tourism “destination”, he said. “Medical tourism is going to encompass all hospitals, all centres,” said Mr Ghobash. Jonathan Edelheit, chairman and chief executive of the MTA, said the organisation is looking at a variety of ways in which Abu Dhabi can secure more medical tourists – including using its landmark attractions as a selling point. “We will be focusing on how Abu Dhabi can really penetrate some of these target markets and bring these medical tourists to Abu Dhabi,” said Mr Edelheit. Efforts will include hosting hospital tours to highlight the quality of care in Abu Dhabi, plus highlight the opportunity to indulge in traditional tourism by checking out sites such as Louvre Abu Dhabi. The travel and hospitality sector play a major role in medical tourism, according to Mr Edelheit.